Your unique place for everyday wellness! Hi! I am Anne Ferguson, owner of Dragonfly Wellness Center. I have been a critical care nurse in Boston for most of my 30 years in Nursing and have seen the devastation that illness can bring to individuals and families. I wanted to get on the other side of illness and work toward prevention by strengthening the inherent healing abilities of our own bodies, minds and spirits so that we are better able to manage the inevitable threats to our well-being in our world. 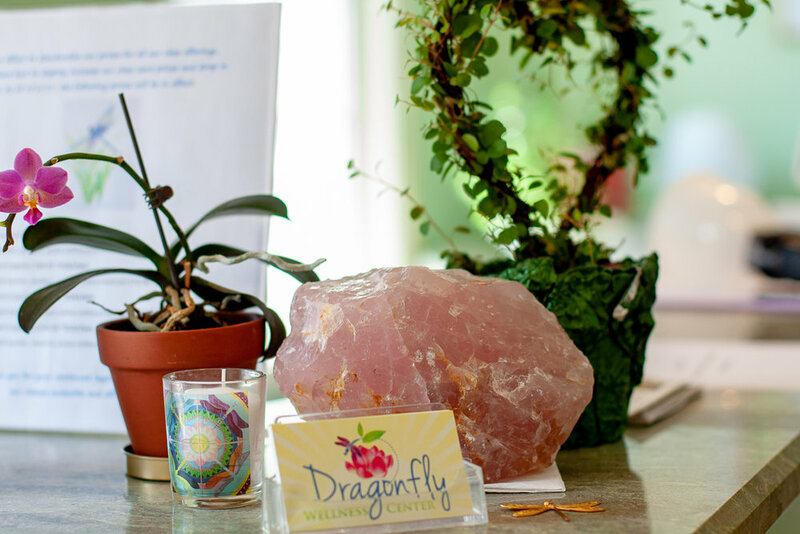 Dragonfly Wellness Center is an extraordinary place where there is something for everyone. It is home to a diverse group of Wellness practitioners and teachers. Our mission is to create evidence based, holistic wellness classes and programs with the goal of spreading wellness to as many people as we can! It is no coincidence that we are in the Historic Army Red Cross building. In 1940, it was built in the shape of a cross so it could be recognized and spared in the event of an air raid during wartime. From the day it was built, it has always been a peaceful and protected place of healing. We are proud to carry on that tradition! The name of the center is also significant and comes from the symbolism of the Dragonfly. Dragonflies are intriguing creatures who carry very ancient wisdom. Because they are born and initially live underwater and then progress to flying in the air, they symbolize transformation and perspective from both sides. In many cultures, they are also considered symbols of healing and are thought to have a connection to the spirit world. I am proud to say that Dragonfly Wellness Center has been open since 2015 and has and will continue to serve a large community of children, adults, businesses, non-profits and schools on their journey to overall well-being!